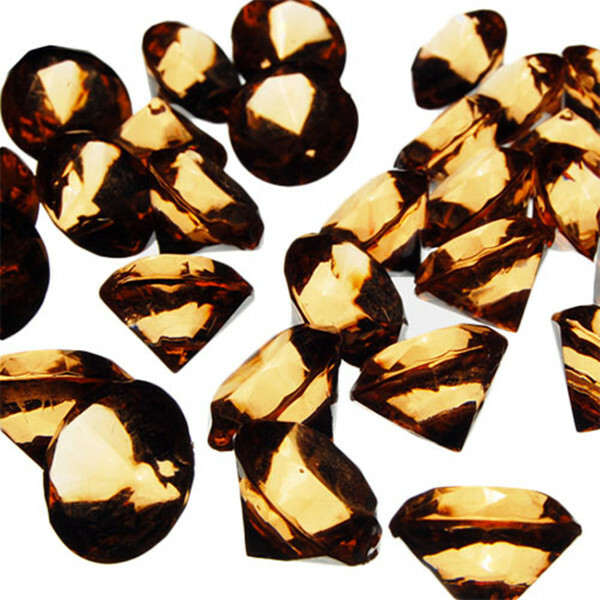 Acrylic Diamond Vase Fillers, Pack of 24 bags, Color: Amber Discounts Apply ! Acrylic Diamond Vase Fillers are to add aesthetic appeal to your decorations. You can simply scatter them on the ground to create a path or scatter them on the table to accentuate an important station.